Personalised Promotional Paper Trays! If your forever searching for a scrap of paper to jot down your notes then Mojo Promotions has the ideal product for you. Our custom printed and custom engraved paper trays will not only smarten up your desk but also that of your customers, clients and colleagues. You can rest assured that your company details will always be an arm's reach away. 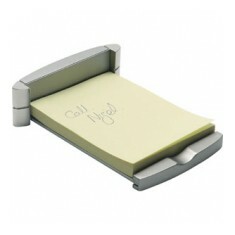 Two tone nickel plated base containing 100 sheets plain paper. 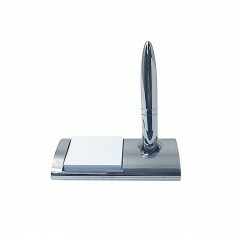 Advert laser en..
Silver pen with paper tray engraved to the pen and the base with your design.